Hi guys. I hope everyone had a great weekend and feeling pumped and ready to conquer the week. I have recently started to love Mondays because it’s a fresh start/new beginning. 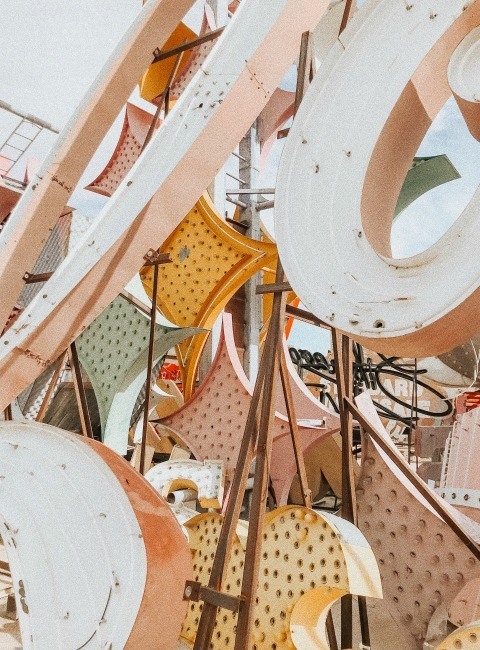 I want to know: what is your FAVORITE thing to do in Las Vegas? I asked this question on my facebook page (The Olive Brunette), but I’m interested to know your thoughts here. Can’t wait to read your answers. Now, for the reason you’ve come to this post. 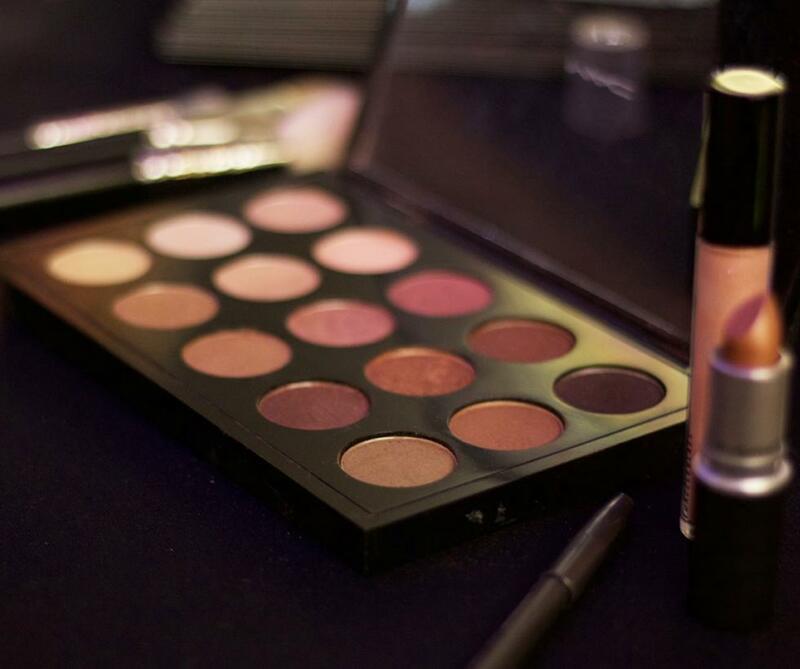 The Las Vegas Beauty Bash. I got invited to be a part of the exclusive media preview of this years Summer Beauty Bash. Super fancy shmancy if you ask me. 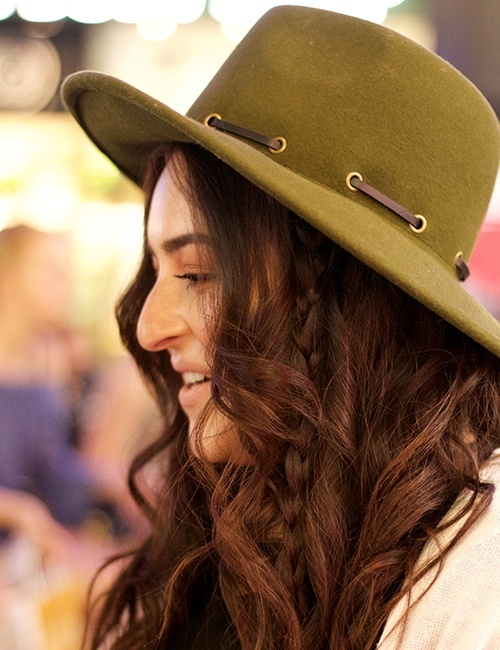 The event was held at the Miracle Mile Shops and featured a first look at Fall fashion and beauty trends. There were complimentary demos, services and makeovers (which I will get into) performed by participating beauty and health shops. 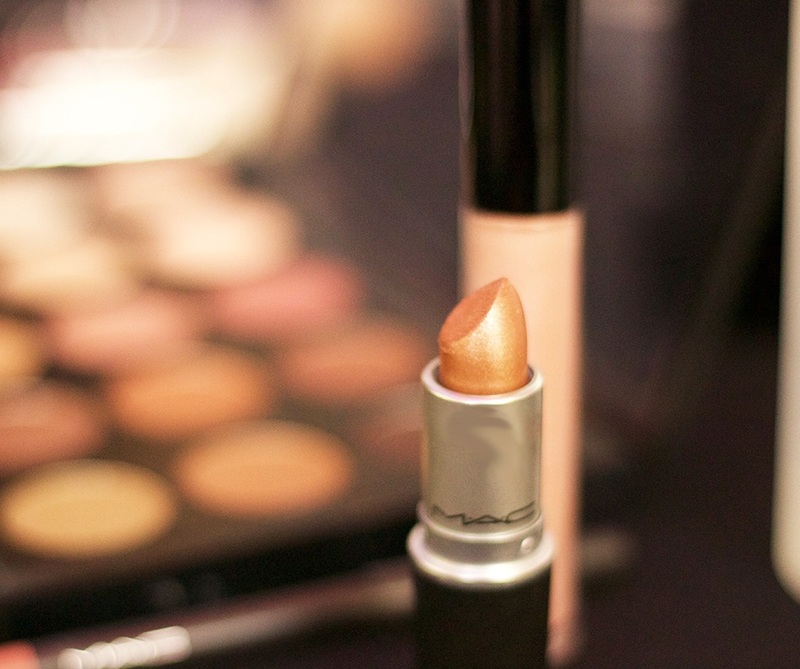 My favorites include: Basin White, MAC, NYX Professional Makeup, Drybar, Sephora, and The Body Shop. I’ll be honest, I had no idea what to expect. Some of these events are a hit or miss. I can confidently say that this event was a HIT! I had so much fun talking to all of the different companies and employees. 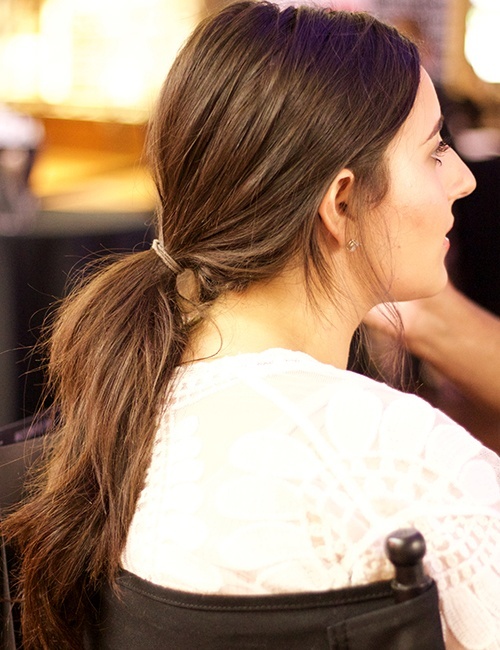 When I first arrived I was immediately seated in the MAC chair for a makeover. I’ll be honest, I DO NOT like getting my makeup done. I’m super fidgety, impatient and honestly never really like how my face turns out. Either I leave feeling super cakey, or they take the whole “natural” suggestion I give really seriously and barely put any products on my skin. 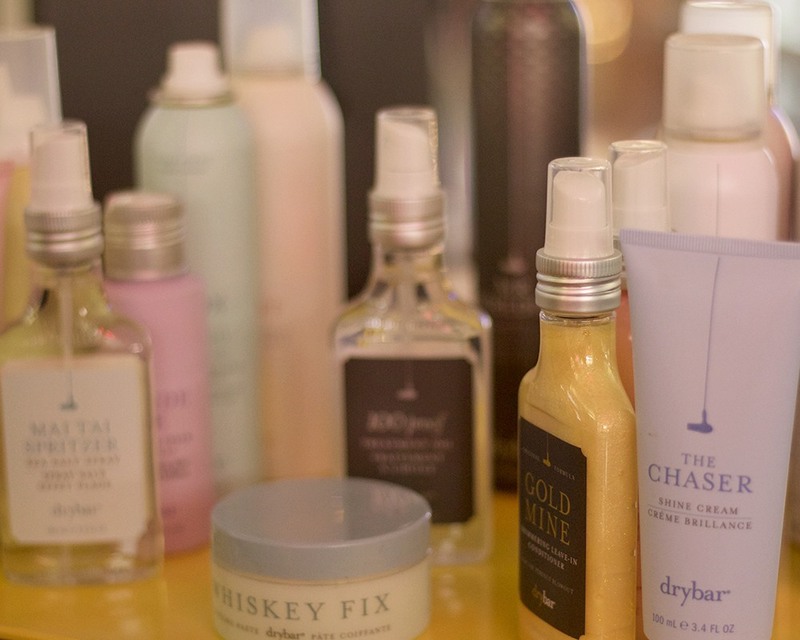 I also made my way over to Drybar to get my hair done and WOW their products smell UH-Maze-ING. No Joke. I probably said “this smells so good” about 18x. 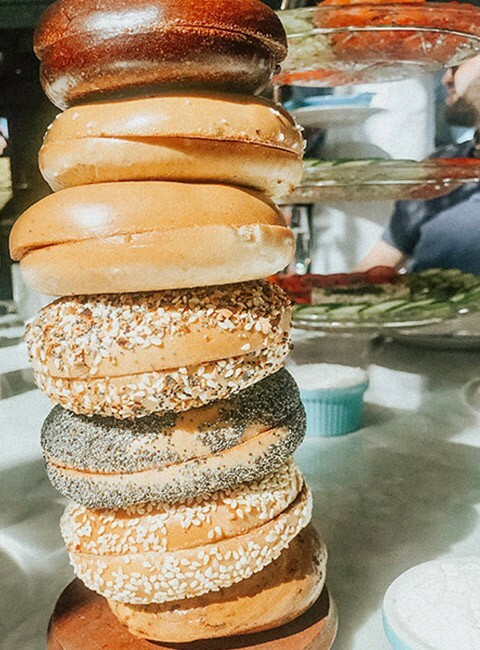 Side Note: If you follow the Skinny Confidential Him & Her Podcast, you’ll know that Lauryn Evarts and Michael Bosstick (creators of the brand/Podcast) interviewed the founder of the Drybar, Alli Webb. Even if you are not interested in hair/beauty I would definitely give this Podcast a listen because she talks about how she took her passion of blow drying women’s hair from an at-home service to now having 81 stores in the US. Mega hustler. 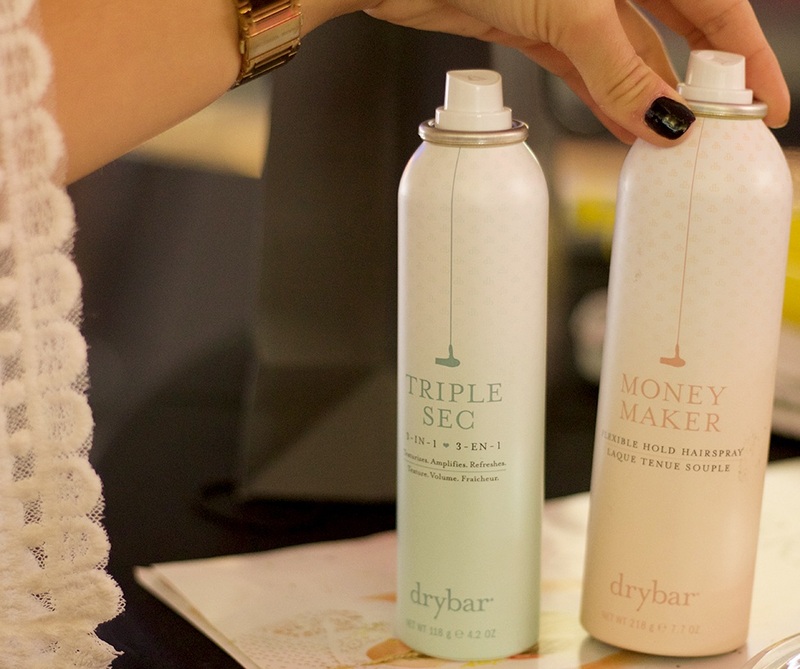 Alli Webb talks to Lauryn and Michael all about the branding and Marketing behind the Drybar and what went into creating all of the products. I’ve listened to it twice now. Slightly obsessed with that podcast if you couldn’t tell, but it made me so excited to get a first hand look at this brands products. Amazing. Really! The girls working there were so sweet and explained every product and what it does to a T! Before I left I had to try out the Basin White body scrub and body oils. This product is so genius. The oil comes in a form of a candle and once it has burned through and the candle has melted, you use it on your skin. Smart, right? My skin was so soft and smelled bomb dot com. It’s a little hard explaining smells…I’m not good with the whole “hints of lemon, citrusy, lavender tones…blah blah blah!” It smells good. That’s all. Try them out!! 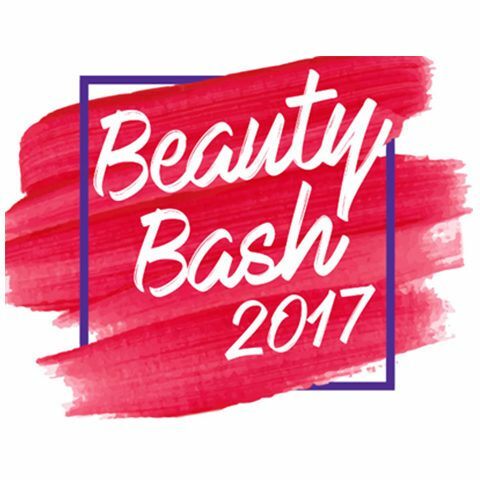 If you didn’t get a chance to check out this years beauty bash, be sure to check in to their website every now and then for upcoming events. See, there is ALWAYS something to do in Vegas. All stores are located in the Miracle Mile Shops at Planet Hollywood. It’s essentially a giant circle so you wont miss anything. While you’re there, make sure to check out the indoor rainstorm that takes place every half hour from 10am to 11pm Friday through Sunday. It’s FREE (the best price) and is great for all ages. Check out some of the pictures from the event and comment below with what types of products/stores you’re eager to check out. Thank You, Tyler!! That was a blast. So happy we ran into you. Wow, you look absolutely stunning! Glad you enjoyed the event! I would love to attend a beauty event in las vegas, sadly I am from the UK so a girl can dream! I feel like I’ve missed out on all of the good beauty events this year. I can’t until next year tho. I plan on attending as many as I can. 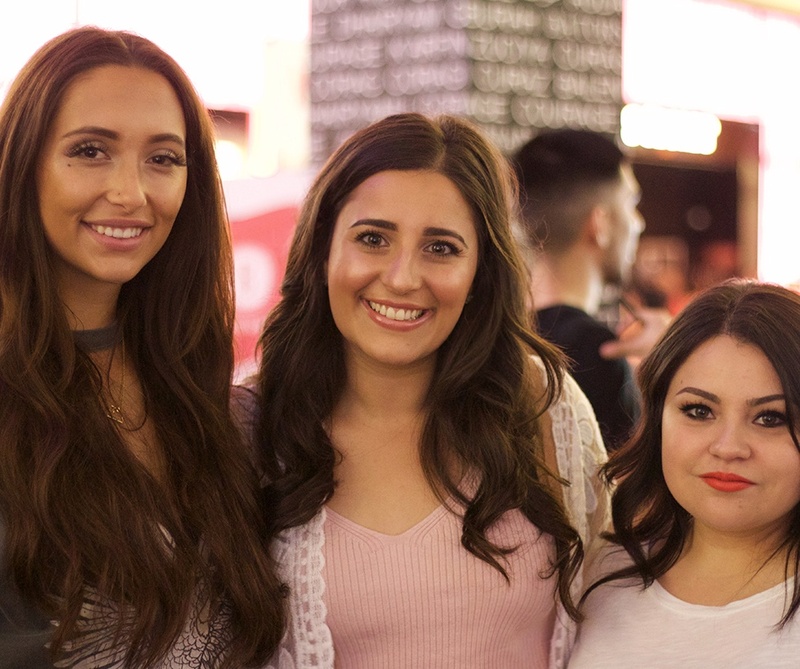 Glad you had a great time at LV Beauty Bash! All of this sounds absolutely magical! 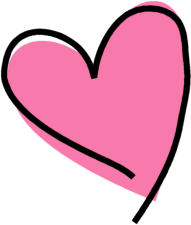 (Also TSC and Lauryn are BAE, I like worship her… who doesn’t?! haha). I’ve never tried Dry Bar but really want to. All the good-smelling-ness just seems like a huge plus! Sounds like a great time! You look lovely! I wish I had known about it. I would have attended. Will keep my eye open for the next one. 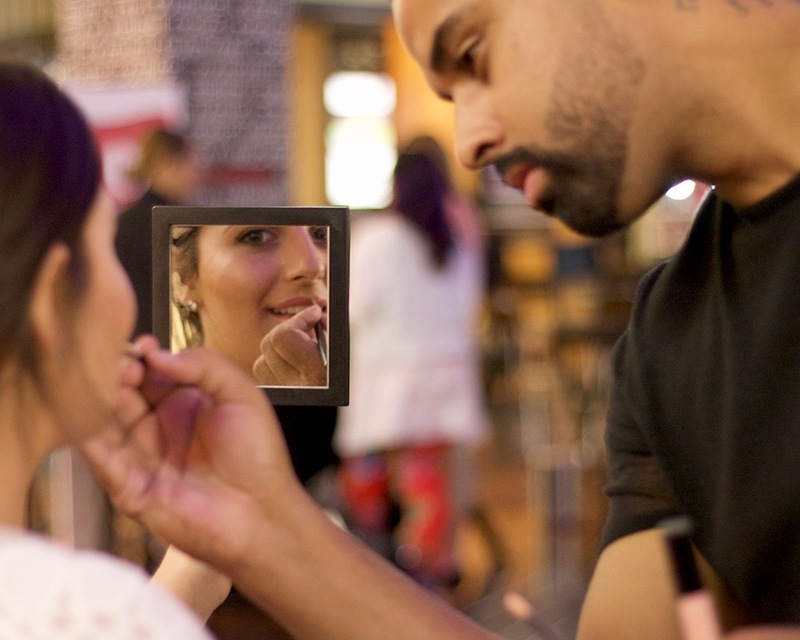 Do not miss out the beauty bash at Las Vegas. They offered me with a perfect makeup that was not cakey. Their products smelled good, and they made use of only branded makeup products. You can check their official website to about their upcoming events. 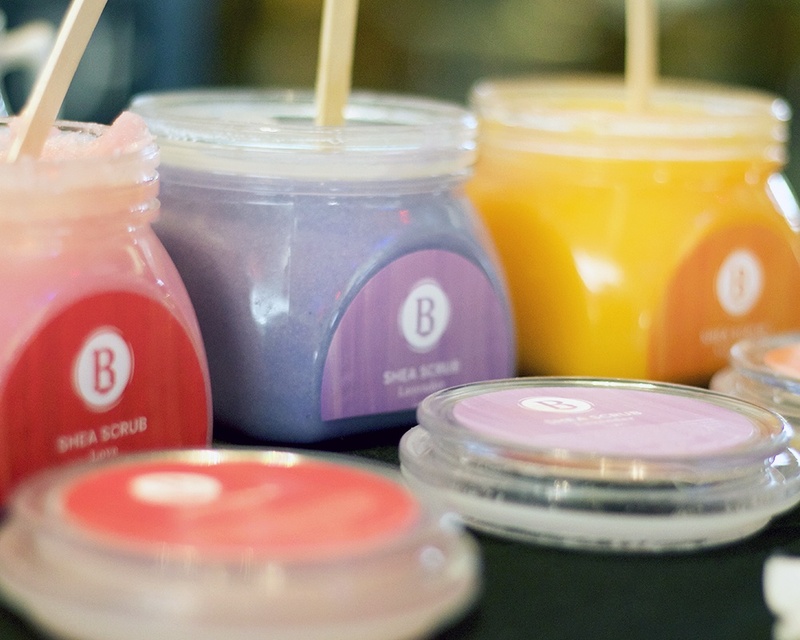 Las Vegas is the perfect place for a beauty bash. It looks exciting. Looking forward to visiting Las Vegas soon for a complete makeover. The city is known for quality makeup products. The ladies with makeup look beautiful and for sure attractive.